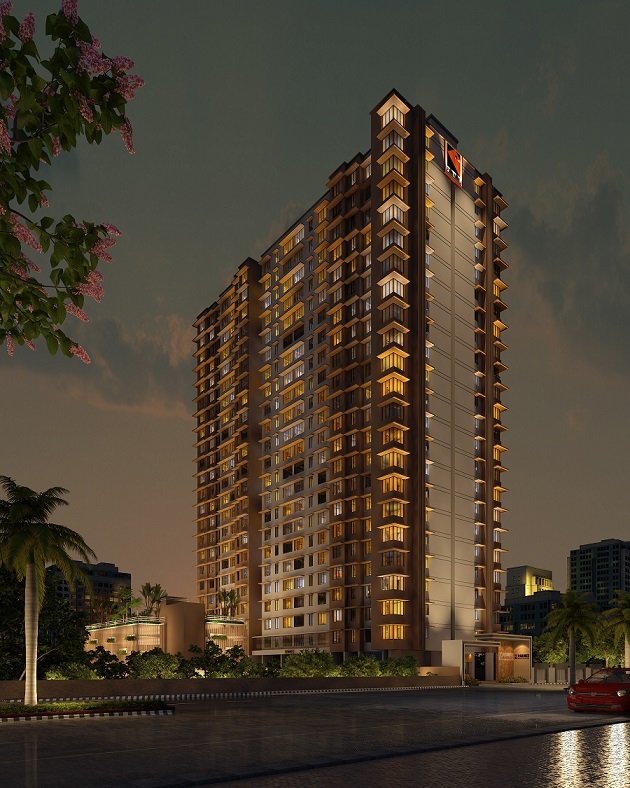 Parinee Group, one of the most promising brands in the Commercial and residential Real estate of Mumbai, has come up with a unique initiative of bedecking the interiors of the homes at their project namely Parinee Essence in Kandivali (W). On the occasion of festive season, Parinee is offering fully furnished studio apartments to the potential homebuyers. These unique apartments are equipped with sliding furniture mechanism which will enable to convert it into a fully furnished 1 BHK apartment at a price of INR 52 Lacs onwards excluding Government tax and other charges. The 1 BHK flats, when handed over will be ready to move-in spaces comprising of Air conditioner, Modular kitchen, Sofa, Wardrobe, TV unit, Bed with side table, Dressing table, Dining, and Centre table. The customer also receives a 5 GM Gold coin on spot booking with digital payment immediately. Parinee a reputed 50 plus years old real estate organization, founded by Mr. Dilip Shah headquartered in Mumbai, is a real estate group engaged in flagship business of construction and provides housing with a vision – a vision to provide luxury, class and lifestyle across the city. Incorporated in the year 1963 as P.D. Construction, it commenced business operations as civil contractors and after gaining an extensive experience of more than 4 decades, the Group diversified and focused as Real Estate Developers. The Group renamed as ‘Parinee Group’ thereafter and successfully completed around 15 lakh sq. ft. of commercial and residential projects since the inception of Parinee Realty Private Limited. At present, the Group is developing 7 projects totaling to 2 Million Sq. Ft. and revenue of Rs. 4000 Crores. With every project, whether high-end or mid-segment, Parinee strives to construct structures that are landmarks in many ways. Each project envisioned by Parinee is a path-breaking milestone with its new-age designs irrespective it being a functional business facility or a luxurious residential complex to provide better lifestyle and meet up with the changing needs and expectations of the customer. Parinee has made a significant mark in the real estate sector in Mumbai and the company has developed a diverse range of iconic properties, located in strategic locations across the city. From affordable, functional residential complexes to sprawling, luxurious business centers, Parinee undertakes projects of varied specifications, each fulfilling a specific demand in the market. A bouquet of varied residential and commercial developments across the city. Over 7 projects spread across the city in various stages of development. Over 15 uber modern Residential & Commercial projects completed. Ongoing developments: 2 Million Sq. Ft.
Upcoming developments: 2 Million Sq. Ft.
Delivering better infrastructure to the citizens of Mumbai. Our residential and commercial real estate across Mumbai with our commercial edifices at Worli and Andheri and residential projects at Juhu (JVPD) to Borivali ranging from high-end luxury projects to mid-size projects catering to all segments across the city. Mr. Dhaval Shah is jointly responsible for heading operations at Parinee. He oversees all aspects of business and specializes in the Slum Rehabilitation (SRA). He has spearheaded various projects in Mumbai suburbs rehabilitating the slums and has a vision of using the scheme for upliftment of people and providing better housing in the city. He also oversees the legal and liasoning functions of the company. This seasoned businessman with a degree in commerce brings in a fresh wave of ideas to the Parinee Group. His business acumen comes from his father Mr. Dilip Shah who started the group and he plans to take the group to another level in the housing sector as he is extremely passionate with using design and technology to create infrastructures which will be landmarks in the near future.